Designed for education and corporate environments. LCD, 4 000 lumens, WXGA projector. 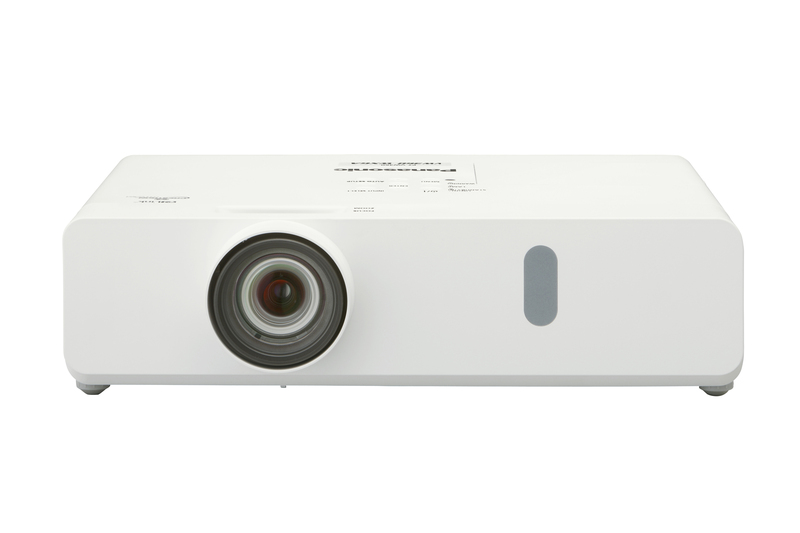 The PT-VW360 Series makes point-and-shoot projection easy in any space. 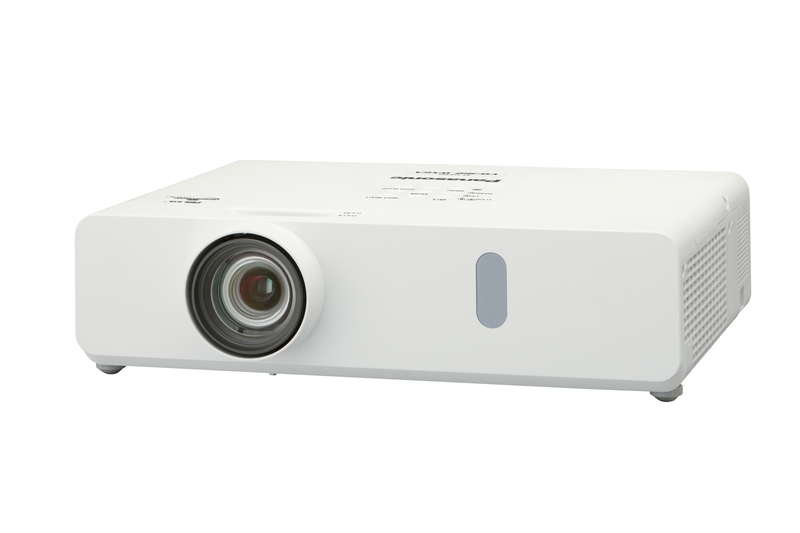 With up to 4,500 lm*1 and 20,000:1 Dynamic Contrast, HD images*2 are vivid and sharp. Optional wireless module eliminates the need for cables, while Corner Keystone Correction aligns pictures when projecting off-axis. Working flawlessly for 7,000 hours*3 before servicing, this light but rugged portable hits the ground running for effortless presentation. for up to 7,000 hours*3 of operation, reducing cost of ownership. A new iris mechanism optimizes light output according to content. 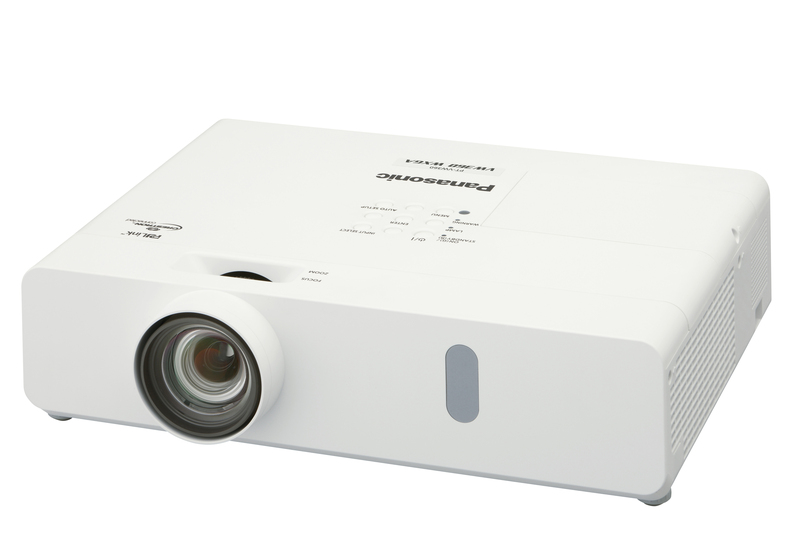 Now you can project media wirelessly via PC using Presenter Light or Panasonic Wireless Projector application for iOS and Android™. Just connect an optional ET-WML100 Wireless module to the projector’s USB input. You don't need a computer to start presenting— just insert a USB memory device containing media and start projecting straight away. problems, saving time, and enhancing system reliability. 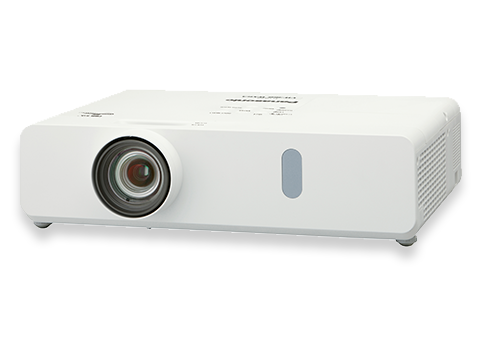 When projecting onto a 100-inch-wide screen*2, the included 1.6x zoom lens supports a range of projection distances from 2.5 to 4.1 m (8.2 to 13.5 ft). If on-site conditions require off-center projection, simply designate four screen corners and Horizontal & Vertical Corner Keystone Correction performs necessary adjustments for a distortion-free image. Barrel and pincushion distortions are easily corrected when projecting onto a curved screen surface. Lamp and filter are accessed via panels in the top and side of the projector. Periodic maintenance takes moments even with the unit attached to a ceiling-mount bracket. *1 PT-VX430 only. *2 PT-VW360 only. *3 Approximate maximum value with lamp mode set to ECO. Usage environment may affect filter maintenance cycle. *1 Measurement, measuring conditions, and method of notation all comply with ISO 21118 international standards. 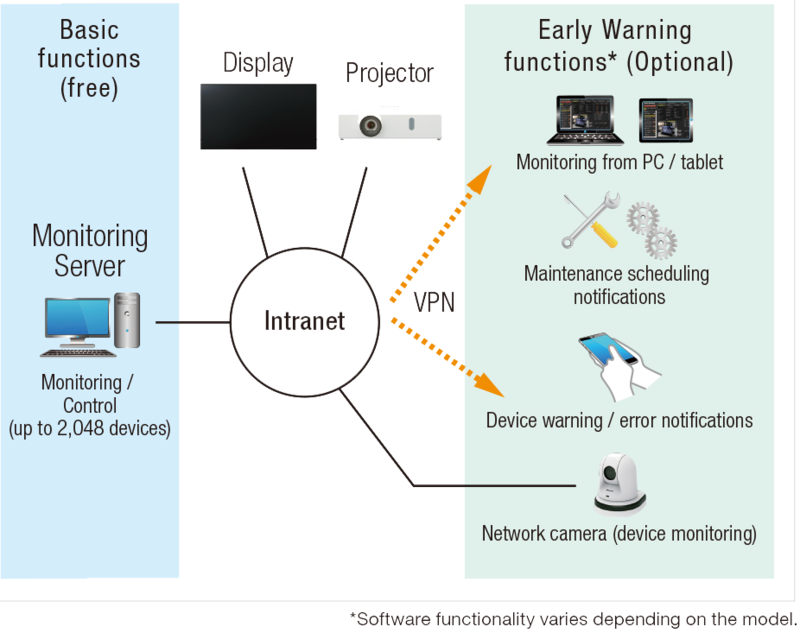 *2 When the Standby mode is set to ECO, network functions such as power on over the LAN network will not operate. 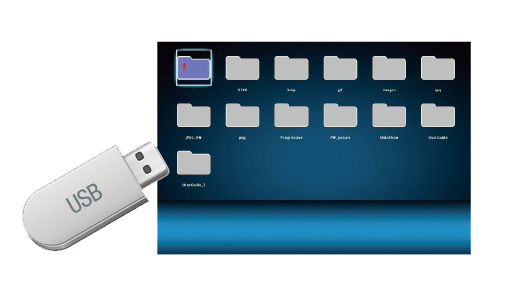 Also, only certain commands can be received for external control using the serial terminal. *3 With legs retracted to minimum. *4 Including protruding parts. *5 Average value. May differ depending on the actual unit.